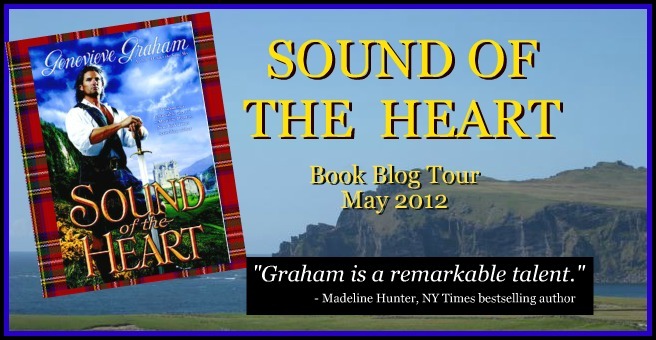 Today's Kindle and Me's stop on the Sound of the Heart by Genevieve Graham Blog Tour and I have an excerpt and a grand giveaway of a signed copy and relaxation music cds for you, thanks to the author! 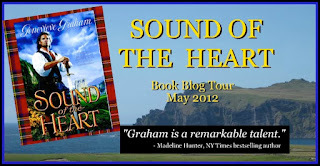 Sound of the Heart by Genevieve Sawchyn. Publication : May 1st 2012 by Berkley Trade. He leaned against the thick trunk of an oak, hidden from view, and watched her work. She leaned over a trap, setting to her work with her normal efficient manner, cutting the carcass from its noose and tying it to her belt. She moved like a man, only smoother. Fluid, he thought. Like a strong, capable deer. He liked observing her when she didn’t know he was there. “Ye've the ears of a squirrel,” he grumbled. “I came to see … I was worried that … I thought maybe …” He winced, realising how pathetic he sounded. He leaned down to pluck a tiny purple flower from the grass and snapped the bloom between his fingers. “That's right,” she said. Her eyes glittered with anger. “I'm askin' ye to be the man ye were. The man ye are now isna worth a pot to piss in. Ye dinna speak of anythin' worthwhile, ye dinna laugh, ye dinna do anythin'! Ye're dull as a stone!” She shoved him hard again. This time he tripped back, then stepped forward and grabbed her wrist, holding it in place. “Don't do this,” he said, almost pleading. In response, she slapped his face with the hand he wasn't holding. He shook his head to clear the sting, then grabbed that wrist as well. 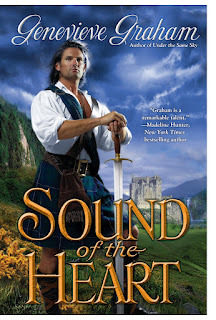 She leaned toward him, trying to put her face in front of his, but he was a foot taller. She hissed up at him through bared teeth. “No …” he said, but his voice lacked conviction. So he kissed her. He dropped her wrists and seized the sides of her face, bringing her lips to his. She pulled instinctively away, but he held on, kissing her mouth, slightly open with surprise. He touched the skin he had longed to touch ever since he'd first found out the truth about her. It was warm, hot even, because she was angry. He felt his own face warm as he sank into the kiss. “What was that?” she shrieked, sounding out of breath. Now it was her own hands clutching her face, her fingertips digging into bright red cheeks. “Ye jus' think ye can … Ye grab me an' … I canna believe ye'd—” She exhaled quickly and spun away, heading back toward her trapline. 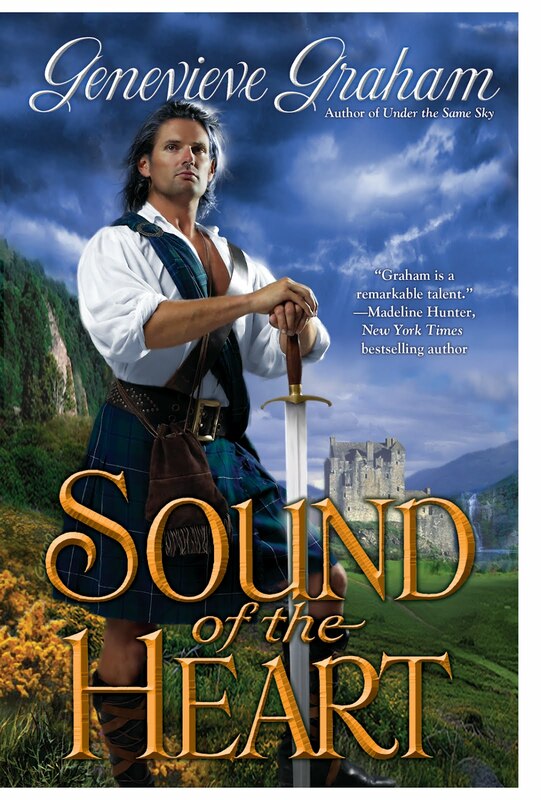 “Aye, ye did,” he said, his mouth quirking up in a smile. She tightened her lips and shook her head slowly, but without much conviction. Her eyes darted to the right, then the left, like she was thinking, looking for words. But Dougal now knew. What he wanted more than anything in the world was to repeat his performance, hold her and kiss her until neither could breathe. But he held back. It was up to her now. She'd asked for him to do something, and he had. “Right. I'm goin' for a swim,” he said, and walked away. I'm in noway responsible for you receiving your prizes, it's the author/publisher's responsibility. This story sounds great and I look forward to reading the story after the teaser from that excerpt!